Update 11:16 a.m. ET - Christie has signed the bill into law. Washington (CNN) - New Jersey will become the second state to forbid gay conversion therapy for minors when Gov. 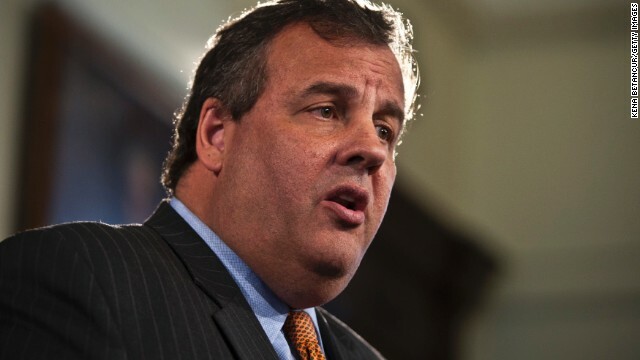 Chris Christie signs legislation into law Monday banning the highly controversial practice, CNN has learned. Gay conversion therapy is an effort championed by people who believe that you can change a person’s sexual orientation through counseling. The American Medical Association, American Psychiatric Association and American Psychological Association are just a handful of professional organizations that oppose this practice, saying it is harmful. New Jersey’s decision to outlaw gay conversion therapy will not only be looked upon as another major step in gay rights, but it will also be viewed through the prism of the 2016 race for the White House. Christie, a centrist Republican, is considered a leading candidate for his party’s presidential nomination, and his decision to outlaw the practice for children under the age of 18 is likely to be viewed negatively by some social conservatives. In explaining his decision to ban gay conversion therapy for minors, Christie is expected to emphasize that while he is wary of the “government limiting parental choice on the care and treatment of their own children,” on this particular issue he sided with the experts. The New Jersey senate passed the legislation in late July, but as with any legislation, it ultimately requires Christie’s final approval. A Catholic, Christie in the past has stated his opposition to gay conversion therapy and in a June 2011 interview on CNN said he did not think homosexuality is a sin. California passed a similar law in 2012 outlawing gay conversion therapy for minors, but supporters of the practice charged that it infringed on their First Amendment rights, and it is being challenged in federal appeals court. Last month, Exodus International, an organization dedicated to helping people change their sexual orientation from to gay to heterosexual, closed its doors and issued an apology for the hurt it has caused people. Gay conversion therapy is the latest high-profile legislation that Christie has addressed in recent days, the others dealing with medical marijuana and his veto of a bill that would ban certain guns. Christie is seeking re-election in November and public polling shows that he should easily win a second term. This idea of changing someone from homosexual to heterosexual is just plain silly. There is no need for that in any way shape or form. Christie isn't a moderate Republican. He is clearly a big government conservative ideologue. He refuses to realize that revenues need to be raise while making government more efficient. Well, the comments should be interesting on this one. I can see a law to prevent a person from being forced to under go this conversion therapy against ones will but I cannot see it being illegal for one to use this method voluntary. If challenged I could see the law being overturned. yet another reason for the Taliban-wing of the party to hate the BBQ Gov. He doesn't espouse their forced prayer, abuse, ridicule and other tactics in a failed attempt to change someone's true self. Anti-parental rights. This is what passes for a republican these days. And this is why we get someone like Obama in the White House. Christie can think, and he also understands what experts say about this subject. Other Republicans need to listen to Gov. Christie. Good. Another blow to the social communist faction within Christian conservatives. The first mistake is thinking gayness is a sexual oratation . There is only two orientations male and female . Gayness is a abuse of sexual oratation nothen more. Gayness is a sin no more no less. You can call the Keddle any thing you like but in the real world it is still a Keddle . Giving in to per pressures is what you tell your kids not to do . But you your self cannot hold your own . From my view this is no more then rebellion againts the truth of Gods word . Many will hear my words but few will understand it. Oh NO. Marcuth Bachmann won't be able to get a job in NJ. Hopefully this will spread to places like Minnesota and then Ms. Bachmann's farm subsidies will get cut off and they can go live happily ever after in Switzerland (it they will let them in). Boy will Michelle Bachmanns hubby be ticked..His clinics disallowed in NJ to expell the evil gay spirit out and let the hateful,racist republican spirit in,what BS! !Good for the gay community because as a freedom of speech and choice its you that ultimitly has your life in your hands and its up to you what you want to do with it,right! !Thank Christie for doing something with his heart instead of his obnoxious mouth this time,thumbs up bud yah did good this time! !